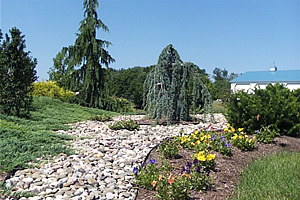 Founded in 1980, Bickel's Landscaping & Tree Service offers residential and commercial markets a variety of services including landscape design, installation and maintenance. Our many projects have ranged from commercial office buildings to single family homes. Our staff has over 40 years of landscaping experience, providing our clients with professional and detailed workmanship.